The new HeadlinerTM series has been re-designed from the ground up for the serious bass player on a budget. Voiced for tight punchy bass with lots of harmonic tone, the versatility and performance of the HeadlinerTM 410 encourages use with any fine bass amp head. The HeadlinerTM 410 is constructed using internal bracing, and is covered with road-worthy black carpet. Steel corners protect the cabinet from the rigors of the road. The cabinet includes a black powdercoat finished 16 gauge perforated metal grille. The four 10" ferrite magnet woofers are designed with a rich bass tone in mind. The sealed cabinet insures tight bass notes, with every note rendered precisely. Inputs include two 1/4" input phone jacks, and one 4-pin twist-lock connector for maximum flexibility. 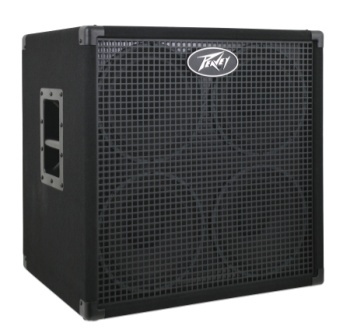 With a nominal impedance of 8 ohms, and a power handling of 800 watts program and 1600 watts peak, the HeadlinerTM 410 can be used in conjunction with any reasonably sized bass amp head. With the 8 ohm impedance, the HeadlinerTM 410 can be easily stacked with a HeadlinerTM 210 cabinet on top, resulting in a 4 ohm total load.